That’s her there, between the buildings. This is the view from my office window. 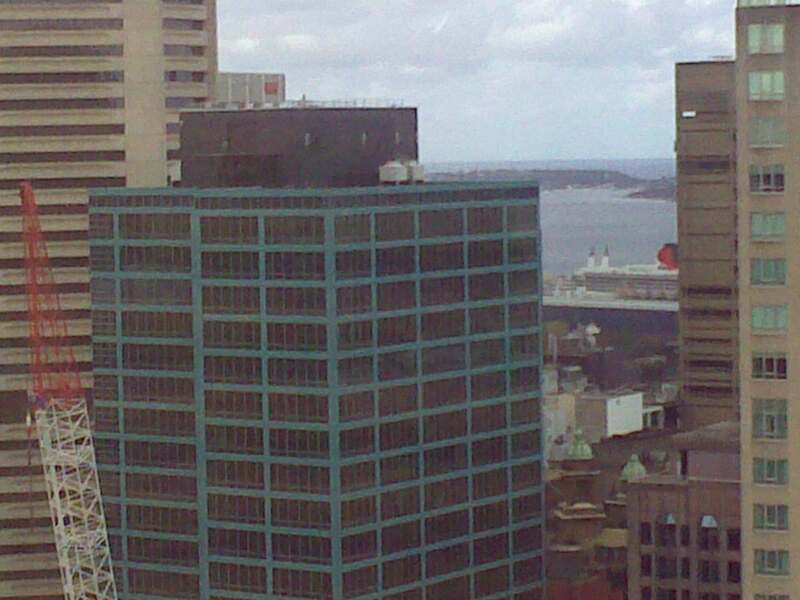 I really think we need to have the Queen Mary 2 come to Newcastle in the future as she just makes Sydney Harbour look so small.